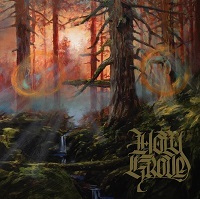 HOLY GROVE is a band that has figured out the formula, tweaked it, and improved upon the original Doom recipe. Their new release, “II” on Ripple Music is damn impressive. The album is five tracks, clocking in at 44 minutes, with only one track coming in under seven minutes. Personally, I love ‘epic length’ songs. Unfortunately, many bands just can’t pull it off. Songs over 6 minutes, give a band time to develop, and musically tell a story. Many bands either choose not to go the ‘epic’ route, or they unsuccessfully muddy up their attempts. HOLY GROVE nails it. Musically there is so much to like here. Trent Jacob’s riff work hits like a heavy-weight boxer’s repeated body shots, while his leads come at you like a left hook. On several tracks, the song drives forward like a runaway locomotive, only to slow to an unexpected crawl or lull. The opening track, “Blade Born” is a perfect example of this. It shouldn’t work, yet it undeniably does. Musically, there’s some cleverness at play here, like a cat toying with a mouse. The absolute game changer is the vocal prowess of Andrea Vidal. Far from your typical Doom vocalist, she takes each song on an unexpected vocal journey. There’s a ‘bluesy’ aspect to Vidal’s vocals that while noticeable, remains more of an underlying quality. Combine that with her extended range, and you’ve got a sultriness and sexiness that absolutely enhances the music. All throughout, the rhythm section of Emley and Travis weave in and about Jacob’s guitar and Vidal’s vocals. This is very much a collective endeavor. The absolute standouts for me are “Valley of the Mystics” and “Cosmos”, the two tracks that close out the album. “..Mystics” opens with a thrash feel very reminiscent of “Master of Puppets” era METALLICA, before slowing down to a proper Doom groove. Tempo change after tempo change, while Vidal soars seductively with that “bluesy” manner. “Cosmos” captures all kinds of exploratory space that has to make this a monster track live. Heavy, mystical, and confident in all the right places. Add my favorite Doom guitarist Mike Scheidt of YOB to the vocal arsenal on this track, and well, it should be self explanatory. If you need further encouragement, the album was mixed, produced and engineered by none other than Billy Anderson (SLEEP, NEUROSIS). HOLY GROVE has created a damn fine piece of art here. Do yourself a kindness, and check it out ASAP.